Hi, thank you for visiting my blog. I’m Alison and I am married with two gorgeous children. My journey into becoming a parent was not an easy one; taking ten years of heartache, longing and many tears before our first little miracle girl, M, was born, six weeks prematurely, in 2009. 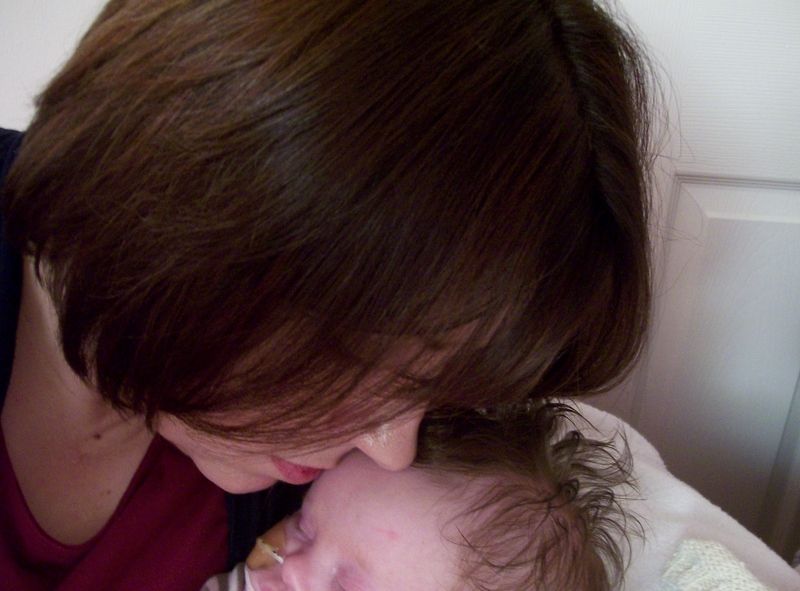 She is a miracle for many reasons…not least the time it took to conceive her, but also for the fact she survived a nightmare pregnancy ending with me being very seriously ill, close to death and being admitted to Intensive Care for a week. Many people prayed, including people I’d never met. The doctors were amazing and excelled themselves, I recovered, gave birth and we both live to tell the tale! As I recovered, with a new born baby to adore and focus all my attention on so my dream became a reality. As my baby girl grew so did the desire to give her a brother or sister. This time I fell pregnant fairly quickly and my ultimate dream was finally being fulfilled. I would have a family to call my own. Joy turned to despair however, when at an early routine scan, problems with the baby were detected. I was told the baby would be unlikely to survive the pregnancy and that if, by any remote chance it did, then it would probably have some kind of syndrome such as Turner’s, Edward’s or Down’s. My world fell apart in an instant. My husband and I tried to come to terms with this devastating diagnosis. That our longed for brother or sister to M would die. We clung to each other and to our faith in God. Abortion was not an option for us, though it was quickly offered. Yet it is one thing to have principles, and another to actually have to stand on them. In my darkest moments following that diagnosis, I almost envied women who could take that option. I wanted to run. I wanted it all to be over. Quickly. We made it clear we would not abort our unborn child but at the same time we were very, very scared of what we were facing. As the pregnancy progressed so the prognosis improved. Weekly scans showed an improving situation and no sign of the various heart defects that were predicted. By the third trimester, the baby was growing well. This was one determined little girl! As the end of the pregnancy approached, we began to believe that our baby was completely healthy. No problems whatsoever. The doctors earlier prognosis had proved to be wrong. I began to once more live the dream, albeit in my mind, as my pregnant body was in no mood for dreaming! Hi there! My name is Kristi Campbell and I’m a special needs blogger. As my son Tucker has gotten older, I’ve not wanted to share about him as much so a friend and I started a new site for parents who have children with special needs and I’d LOVE to feature some of your previously published content there. You can find us at http://breaktheparentingmold.com/. Hi Kristi, thanks for your message. Your website is great and I have bookmarked it to read some more of the stories on it. I am very happy for you to use some of my posts if you feel they are appropriate for your site. Thanks, Alison. I would like to personally congratulate you as your blog Downright Joy has been selected by our panelist as one of the Top 100 Down Syndrome Blogs on the web. I personally give you a high-five and want to thank you for your contribution to this world. This is the most comprehensive list of Top 100 Down Syndrome Blogs on the internet and I’m honored to have you as part of this!